We enjoyed making this fun video on my daily walks year round with my dogs who love their freedom. 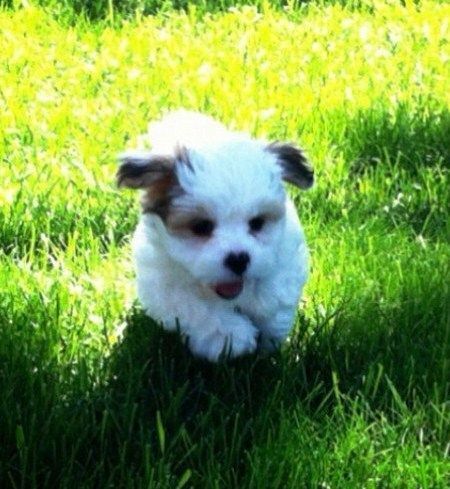 All dogs love being able to run free. And Always Freedom from the horror of cruel cages, pens and chains. They have 2 and 1/2 securely fenced acres to run and play in but their Freedom walks is what they love most of all. Freedom Walks year round in the country far from any roads or other people's property. Hello, thanks for visiting my website. For many years this website has been dedicated to caring for all Creatures, Great and Small. We continue to help all people and their animals, especially Puppies and Dogs. 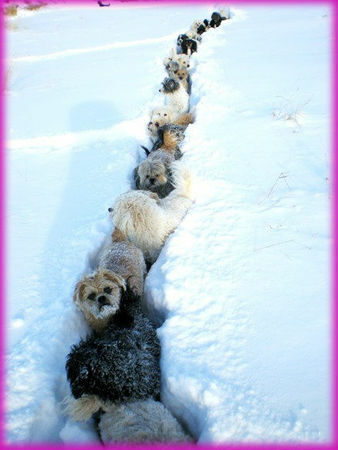 We specialize in Puppies For Sale and Adult Dogs For Adoption. These wonderful creatures love us unconditionally and deserve to know Freedom, Love and Compassion. My Pet Magpie who comes on my long daily walks with the dogs. He chatters Non Stop to me. Here he is having his dinner in his favorite tree in the horse pasture. You will find me at Bonnyville, Alberta which is north east of Edmonton. Situated between St. Paul and Cold Lake. This part of Alberta is a beautiful place to visit and to live with Edmonton being the closest large city. UPDATE: My dogs now have a whopping 2.5 acres of securely fenced yard to run and play in when I am not outside with them. When I am outside with them, they have complete freedom in the country as I am there to keep them safe. The 2.5 acres has stands of trees and other natural fauna for them to investigate and play the roll of "Mighty Hunters" to their hearts content. Talk about Happy Dogs!!! 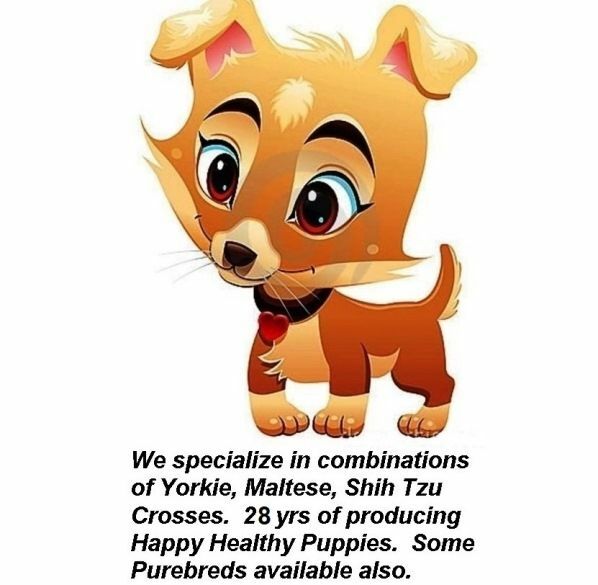 Specializing in small breed Crosses. Please "Bookmark" my website or save to your "Favorites" so it is easy for you to come back and visit. New Puppies and Adult Dogs are continually updated. Watch the puppies grow on the Puppies For Sale page as new photos are added. I have now retired from a life time of raising and training horses. Horses remain close to my heart and a great amount of articles about horses have been saved for horse lovers under the "Our Archives" section of this site. Click here to view: Horse Information. THE DAY WILL COME WHEN "OUR CREATOR" JUDGES US FOR NOT ONLY HOW WE HAVE TREATED OUR FELLOW HUMANS, BUT ALSO FOR HOW WE HAVE TREATED ALL CREATURES AT OUR MERCY. Kahlua is proudly owned by Wayne and Pam Beasley. In the video Kahlua is running and clearing hurdles on his very own Olympic Race Track. All in slow motion. Gorgeous dog having fun in the winter.